Popular Australian fashion retailer, Birdsnest, has launched an online competition with $3,000 worth of clothing to be won. Entries for the Birdsnest Wardrobe Wingbirds Competition will be accepted online until 15th November 2017. 1 x birdsnest Changeroom where you can try on up to $1000 worth of styles and try before, Birdsnest will buy it for you! Includes $1000 in clothing. 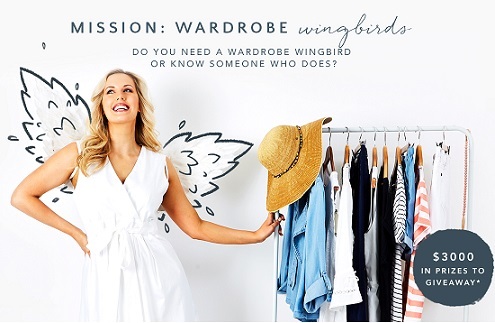 1 x ‘Calling Wardrobe Wingbirds’ Rescue where Birdsnest will send you 3 outfits to solve your dilemma and call on their social community to help you choose. You then get to keep your favourite outfit valued at $500. 1 x Personalised Capsule where Birdsnest design a capsule just for you and post it on the birdsnest website in your name. You also receive a $500 voucher. 4 x Personalised Outfits where Birdsnest design an outfit just for you and post it on the birdsnest website in your name. You also receive a $250 voucher. Entries close 15th November 2017 Midnight AEDT, so make sure you enter before then for your chance to win. Winners will be drawn on the 17th November 2017. It’s the ultimate try on session, with the freedom to order up to $1000 worth of styles to try before you buy! 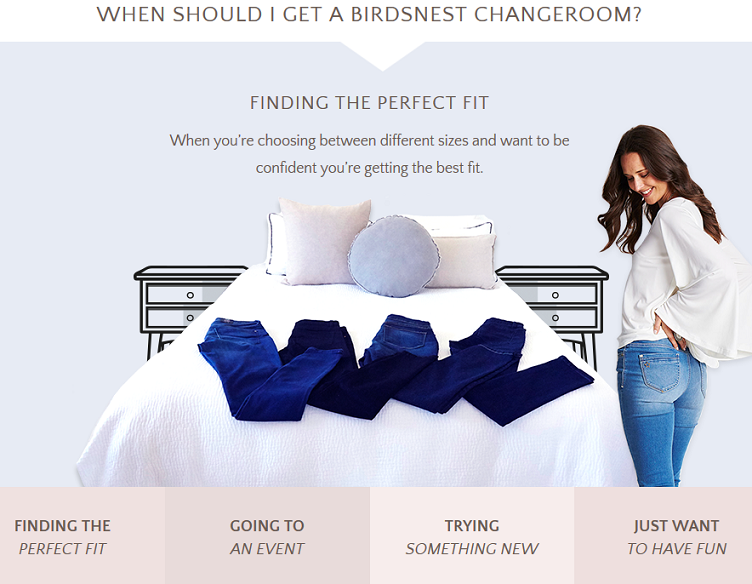 Upgrade Your Order To A Changeroom for $9.95 and Birdsnest will send you up to $1000 worth of styles to try on, and a paid returns bag to send back anything you don’t love. This means you have the freedom to try everything on before deciding what to keep, and you only pay for what you don’t send back! If you choose to pay with a ZipPay account, there are no upfront costs at all.